I spent most of my college life in sector 4 Gurgaon. I stayed there for more than two years because my hostel was in Sector 4 which was very close to Sector 4 Huda market, just at walking distance. And this place has become like a neighbourhood to me. May be that’s the reason I have been staying around Sector 4 Huda market since then. I came here in Gurgaon in the year 2010 and since then I have been just moving around sector 4 area only, because I love this place. Sector 4 Gurgaon is so known to me; however I don’t know most of the places there. So, in this blog – post, I will talk about Sector 4 Huda Market Gurgaon. As I told my hostel was very close to Sector 4 Huda Market Gurgaon, so we would go to sector 4 market every evening and would spend time there sitting in the park. This marketplace has got everything that you need, from shops to street food, restaurants, retail stores etc. The market is located amidst the residential area of sector 4 Gurgaon. It is a big market place and faces community centre. The place has all kind of shops including, confectionery, departmental stores, salons, pharmacies, mobile phone stores, stationary shops, restaurants, street food stalls (in evening), a park, vegetable market, garment shops, cyber cafes and a lot more other such places. There is a very old building which was a cinema hall, known as Shakuntala Cinema Hall. 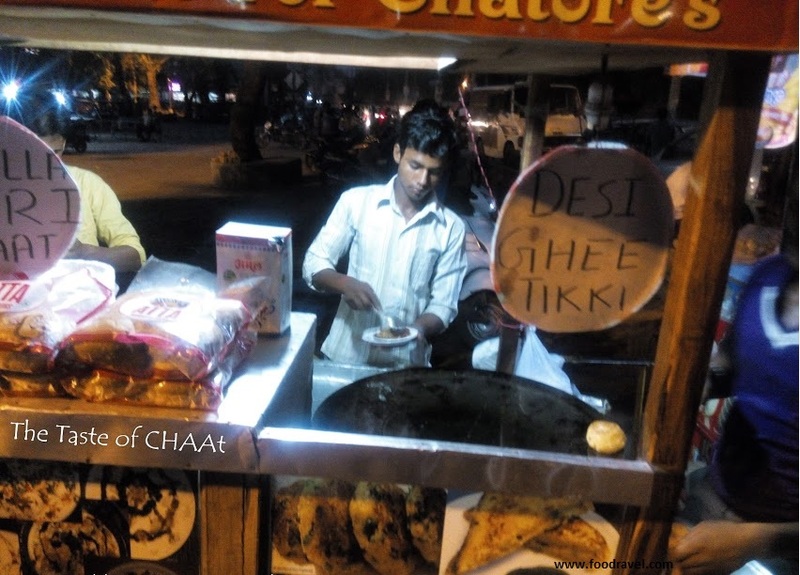 Its compound is now being used by street food stalls, Bombay Best pao bhaji being the best among them. The place also holds the vegetable market of sector 4 Huda market. There is a gymkhana club in sector 4 market known as Huda Gymkhana club. The best thing about this place is, if you are around, you need not go anywhere. Your all basic requirements will be fulfilled within this place only. There is a small shopping mall, Gurgaon Dreamz, which is locally known as Spencer’s Mall is just less than a kilometre away from Sector 4 Huda Market Gurgaon. You can buy clothes from this place. You can hang out with your friends. By the time it gets dark, the place starts to shine. I mean the best view of this place is seen when the sun starts to set and the evening starts. As the place is surrounded by houses, the people start to crowd this place. The street food stalls start to mushroom around this place. What can you do in Sector 4 Huda Market Gurgaon? You can do plenty of things in Sector 4 Huda Market Gurgaon. Situated in the middle of sector 4 Gurgaon, this place is the main centre of attraction for nearby Huda sectors like Sector 7, sector 9, sector 5 and other locations such as Luxman Vihar, Dayanand Colony, Bhim Nagar etc. though people from far places also visit this place. People come and in the park with their families, take walk around the park. Though there are several parks in sector 4 Gurgaon areas, but this being the famous one, is frequently visited. People, who come here to shop or to eat, often come and relax in the park for a while. The park has a fountain which runs during summer season. The area lies close to the bus stand and railway station at almost same distance. This place is always a centre of attraction for people around. Sector 4 Huda market Gurgaon opens at around 10AM and closes at around 11PM. The market experiences crowd during the evening hours when people come out from their homes to visit this place.